The judge said treating the legal process "like a book tour" could taint jury. One week after Roger Stone’s arrest and indictment, a federal judge in Washington, D.C., on Friday warned she may impose a gag order on the veteran GOP operative with close ties to President Donald Trump, but said she has not yet made a decision. 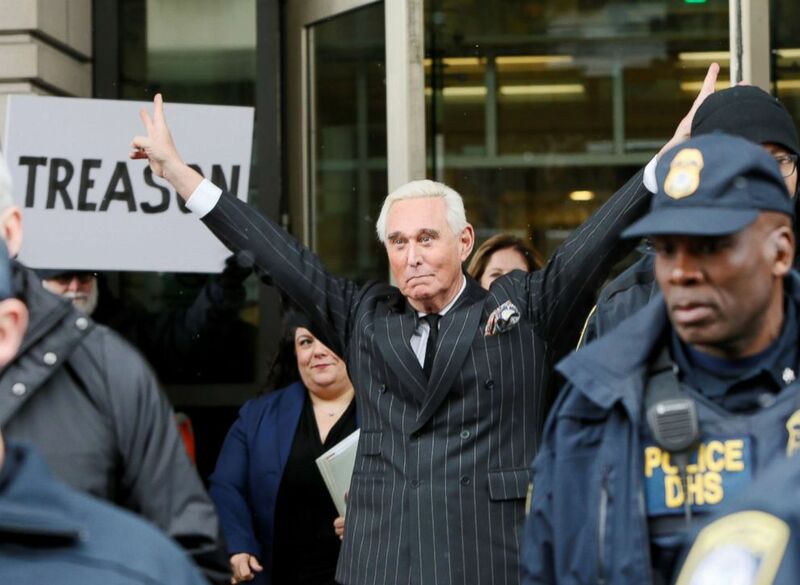 (Jim Bourg/Reuters) Roger Stone, longtime political ally of President Donald Trump, flashes trademark Nixon victory gesture as he departs following a status conference in the criminal case against him brought by Special Counsel Robert Mueller at U.S. District Court in Washington D.C., Feb. 1, 2019. Stone pleaded not guilty earlier this week and vowed to fight charges. If found guilty, he could face up to 20 years in prison. Since then, Stone has been on a media blitz, making a number of appearances on television, amiably talking for the cameras outside his home, at an airport baggage claim, on the courthouse steps, and at a hotel ballroom. 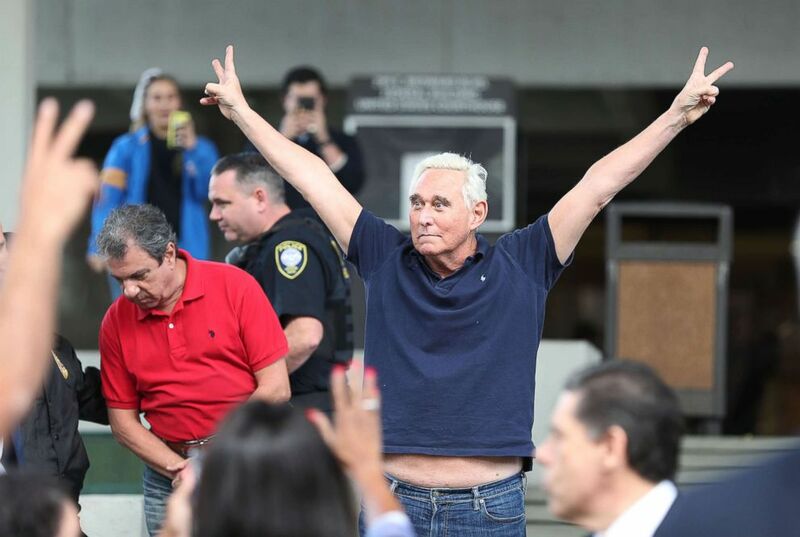 (Joe Raedle/Getty Images) Roger Stone, a former adviser to President Donald Trump, exits the Federal Courthouse on Jan. 25, 2019 in Fort Lauderdale, Fla. If she does issue a gag order, Stone would no longer be allowed to speak with reporters about his case, nor would prosecutors or any of the other parties. But the judge said they could talk about everything else. “Parties can discuss foreign relations, immigration or Tom Brady,” Jackson said. Addressing the media on Thursday, Stone suggested that his legal team might explore options to fight a gag order, though he neglected to give details on any specific measures he and his legal team might be considering.